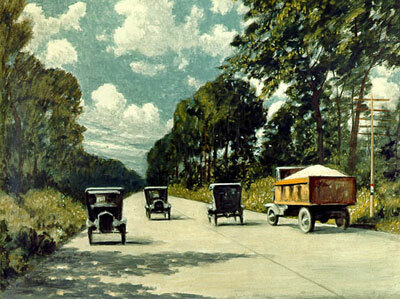 In 1916, Congress passed the Federal-aid Road Act, which created the Federal-aid highway program. It was the first federal legislation that appropriated significant funding to improve and expand the country's road system. For decades to follow, the Federal-aid highway program would support state and local efforts to design and build one of the best transportation systems in the world. During the past century, the United States' transportation system has had a significant impact on the growth of the economy, the expansion of towns and cities and has increased mobility and access for people nationwide by providing a safe, interconnected and efficient means of travel. The report and timeline present a 100-year overview of the Federal-aid Highway Program and its contribution to improving national connectivity and supporting economic growth. Fact Sheets - The fact sheets highlight significant transportation projects over the past century. For more history about America's roads visit the FHWA Highway History site. The Contributions and Crossroads report is a product of the FHWA Office of Transportation Policy Studies.